This was originally posted in 2006. I think a sticky with categories is a great idea. From the looks of it, it needs some work both in organization and updating. No, I'm not volunteering. So I was sitting here... freezing to death, when I thought "Man... I need a radiant heat jacket. Just a big bubble of warmth." On a whim, I did a google search and lo and behold, it really exists. I don't know why I'm surprised, with the heated gloves and boots and such that are out on the market. I wonder how well it works? It's actually a good price and not totally ugly! Ha! I didn't do any further searching to see what the variety of options would be on similar technology. Has anyone tried anything like this? As a perpetually cold-natured person, I have to admit there's some appeal! I have Thermic boot heaters and the mitts. Would not have been able to ski this season without them. I'm leary on coats as I've seen a lot of the construction guys in them. They say they aren't that good. Wondering though about the one from Columbia. Hmm... this review seems to think it's pretty great. Steep price tag but that's to be expected with something like this. I'm definitely curious but there's no way I need another jacket! www.theclymb.com has great deals on gear too- closeouts. 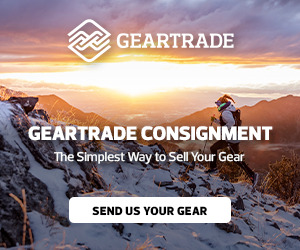 Haven't seen it posted here yet- they're not just ski/winter gear but I've seen and purchased great prices on googles, boots, coats/pants/baselayer, etc.